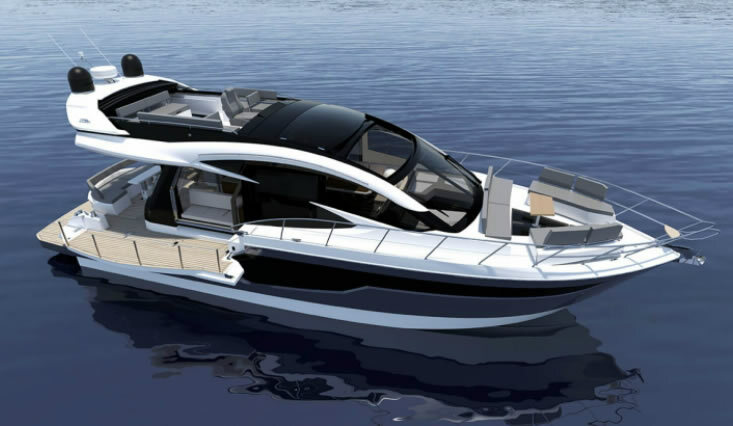 The Galeon 510 Skydeck shares the hul design with the upcoming 500 fly, yet offers even more flexibility in itilising the avaliable space. 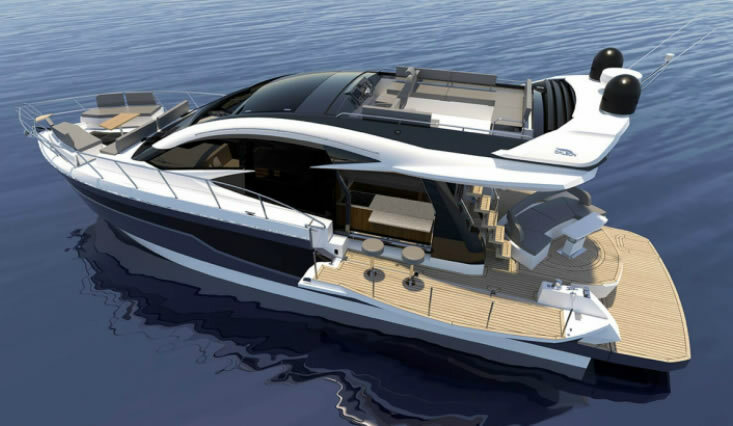 The innovative project allows for both a sizeble sunrook and a top decl, which can be closed off automatically with a soft bimini. 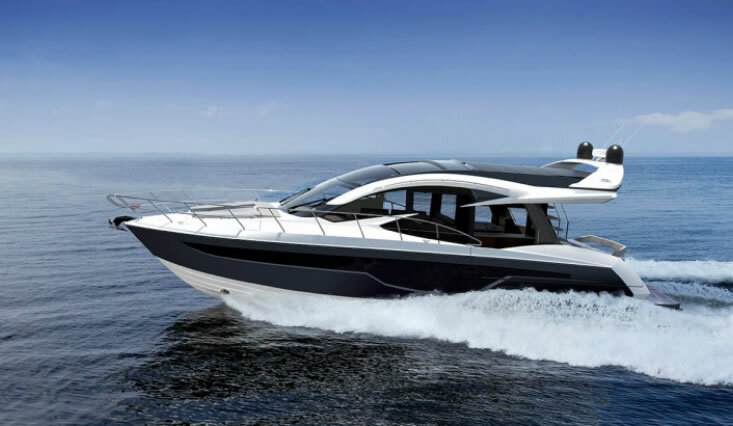 Thi allows the 510 to maintain the sporty look of a hardtop while offering the advantages of a flybridge. Both port and starboard sides can be opened to create a stunning beach mode complete with bar.